Click on to the left of the payment method used. This indicates that the customer paid-in-full. 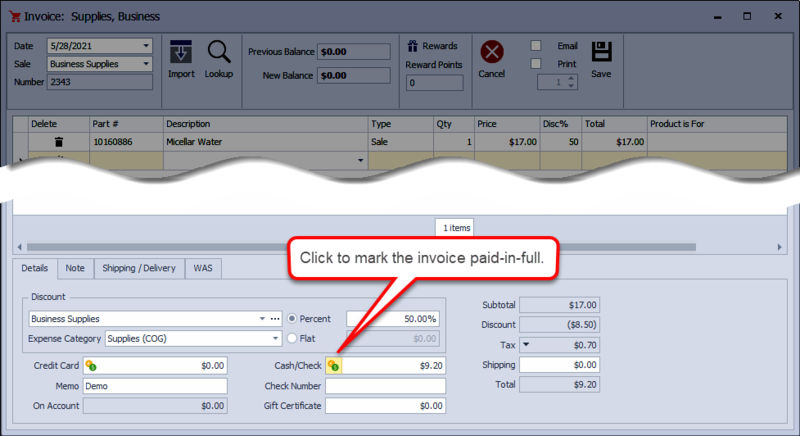 If they are making a partial payment, enter the payment amount then click OK to accept the invoice. If the payment is made after the sale (or after the invoice was accepted) we recommend following the steps outlined in the article, Posting Customer Payments.